Asked for further detail, the Department of Health and Human Services (HHS) declined to elaborate on the President’s comments, telling Reuters at that time it did not want to get ahead of any announcements. Nearly a month later, pharmaceutical companies haven’t lowered their prices, and HHS Secretary Alex Azar offered few new indications of how such price cuts could come. In two and a half hours of testimony Tuesday before the Senate finance committee, Azar repeated many of the points he has previously stated about drugs and drug prices. Azar also shot down news reports about his agency’s efforts to work with drug companies to reduce costs. On June 6, one week after Trump’s “voluntary massive drop in prices” comment, InsideHealthPolicy reported that the Center for Medicare and Medicaid Services would soon announce an agreement to lower the price of insulin for those who pay cash rather than use their insurance. Insulin is an often-cited example of how the rising cost of a drug cuts deeply into the finances of patients. According to the American Diabetes Association, the average price of insulin nearly tripled between 2002 and 2013. Those price hikes have forced patients to ration their doses or cut back on necessities. 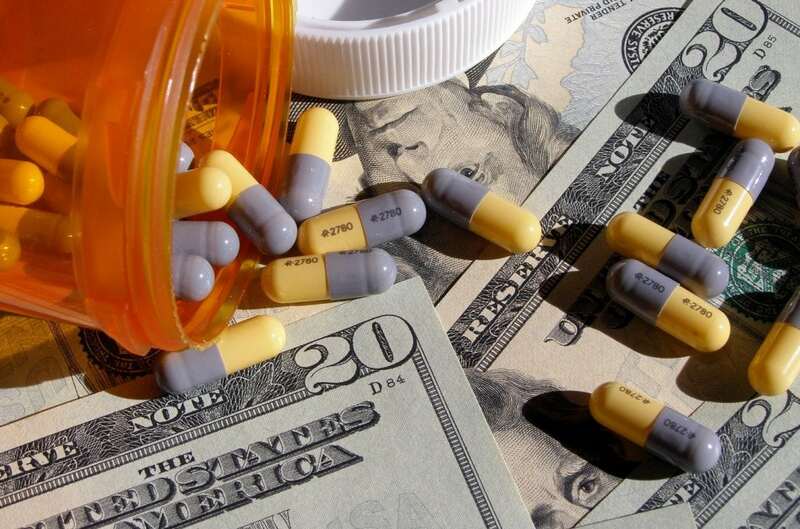 Following the InsideHealthPolicy report, The Hill reported on June 11 that HHS officials have been meeting with pharma companies to discuss voluntary cuts in drug prices. Both news outlets cited unnamed sources familiar with the discussions. Azar disavowed knowledge of such discussions, telling the Senators that the reports were “a mystery to everyone I asked about that.” He said that he would “love it if drug companies cut prices on their own,” but added that his plan is to create competition. That competition will come in part from generic drugs. Azar told the Senate committee that even though the United States has the strongest generic market in the world, some pharmaceutical companies block generic drug makers from accessing this market. He added that he supports creating incentives for makers of biosimilars—copycat versions of expensive biologic drugs—to enter the market. Those points were made last month, when Trump and Azar rolled out a 38-page “blueprint” plan for reducing drug prices. Sen. Orrin Hatch (R-UT), the finance committee chair, noted that one of the ideas in the blueprint is to pay for drugs based on the benefit that they bring to patients. That approach could be useful for novel breakthrough therapies that don’t have yet have competition, he said. But several Democratic lawmakers were critical of the blueprint. Sen. Ron Wyden (D-OR), the ranking Democrat on the committee, called the plan’s proposal to get drug companies to raise prices in other countries so they could reduce them in the U.S. a “fantasyland.” He expressed skepticism that drug makers would use any cash gained by raising drug prices overseas to reduce prices in the U.S., noting that pharma companies used the windfall from last year’s tax legislation to buy back more of their stock, benefiting shareholders and not consumers. Some criticism also came from Republicans. Sen. Bill Cassidy (R-LA), a physician, pointed to the Novartis (NYSE: NVS) cancer drug imatinib (Gleevec). After the FDA approved the drug to treat a rare form of leukemia in 2001, it was priced at $26,000 a year. Since then, the price has risen steadily and it now costs $144,000 a year. But patients in other countries pay less. For example, Cassidy said, the drug’s cost in Canada is less than $9,000 a year. Why not adopt reference pricing, where a drug’s price is a multiple of the price paid in other countries where the drug is approved, he asked. Azar said he would prefer to allow the market to work rather than to turn to price controls. “I’d like to point out that did not work with Gleevec,” Cassidy responded.